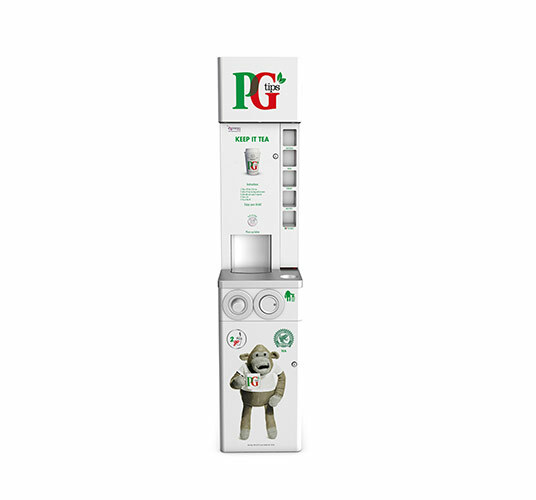 Almost impossible to resist, the PG tips tea to go machine serves the nation’s favourite tea. Why Choose The PG tips To Go? 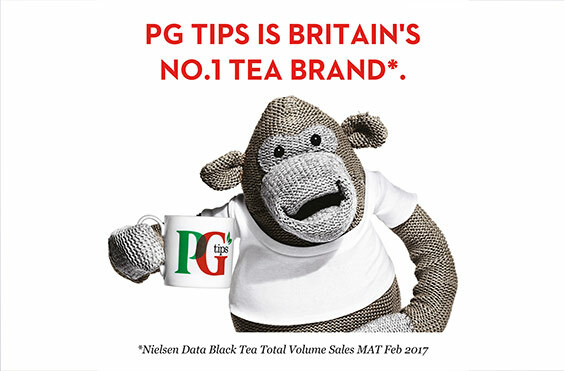 PG tips have built a strong and instantly recognisable brand. 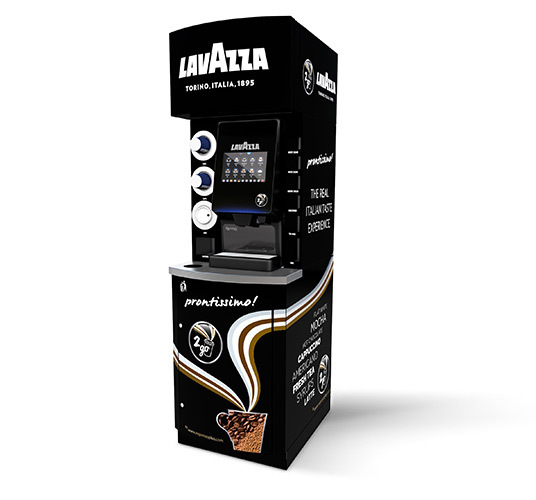 Customers know that the iconic PG tips logo on the eXpresso PLUS Tea To Go machine guarantees a great tasting cuppa. 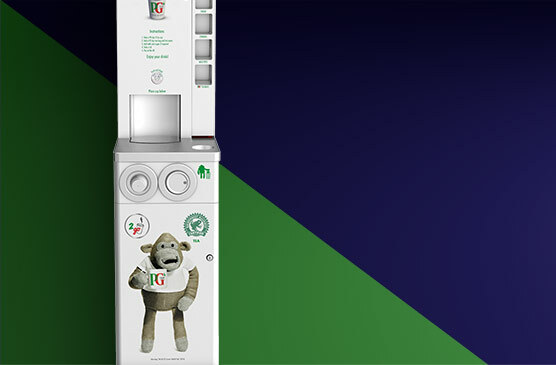 The PG tips To Go machine makes light work of everyday care and maintenance with its easy to use one-touch rinse system. 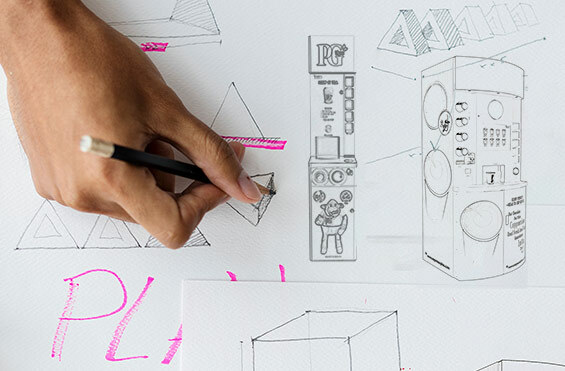 The PG tips to Go tower makes a statement without taking up too much space. 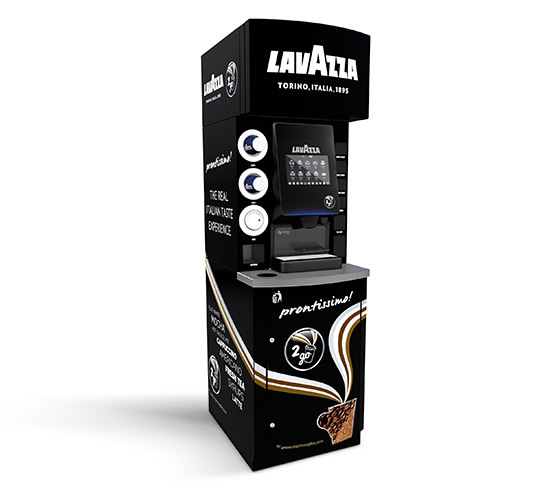 It can stand alone or sit alongside a coffee to go machine to double your offer. 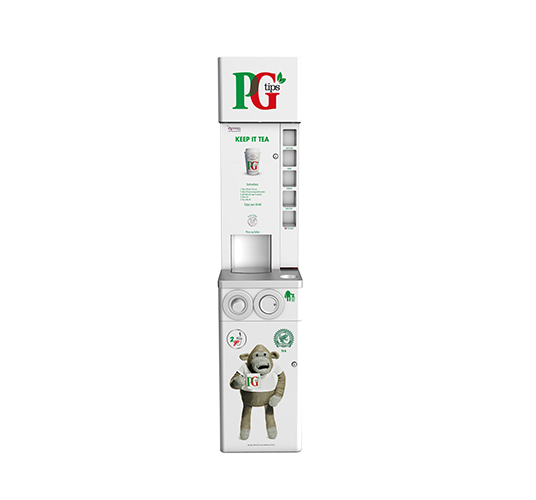 Get in touch to learn more about the PG tips Tea2Go machine. Hover over the machine to see the PG tips machine’s key features.